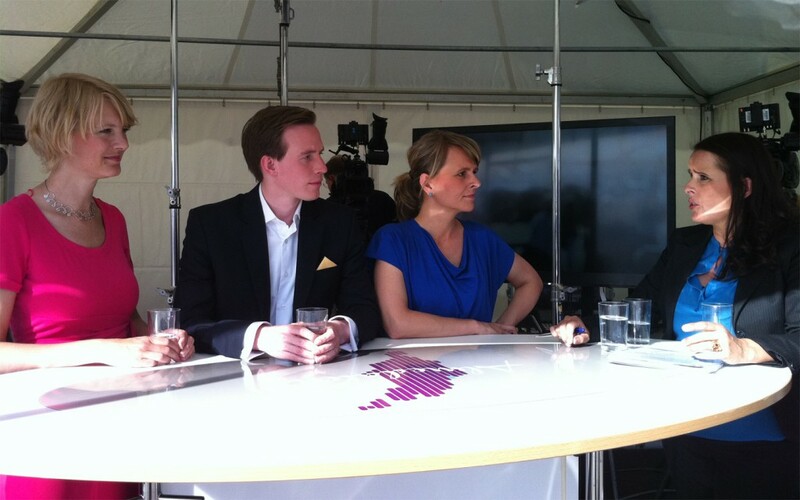 Tracktwo is regularly invited to participate in news panels and interviews in Swedish media. Below are some examples. The explosions that rocked the city of Tianjin on August 12 made headlines around the world. But Chinese media was once again in the precarious situation of being forced to stay within state censorship frames while also trying to report what has happened. 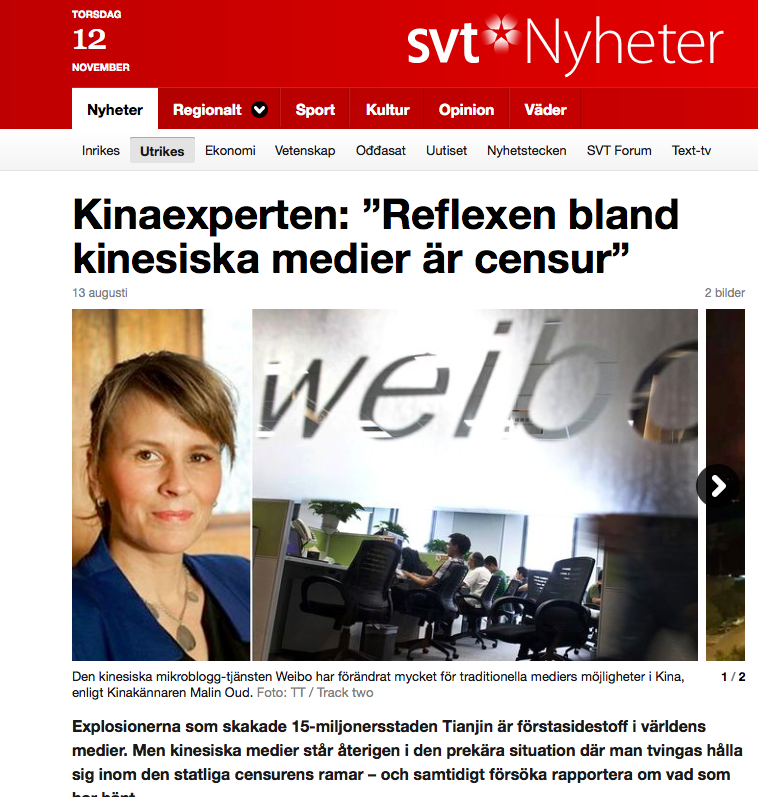 - The spinal cord reflex in Chinese media is censorship. There is a delay in state media while waiting for instructions before reports come out, says Malin Oud. The Party wants to get out with its storyline: ‘We have sent soldiers to the scene, firefighters are in place, the situation is under control.’ But after the advent of social media in China, the state can not control all information, says Malin Oud. Read the full interview here. 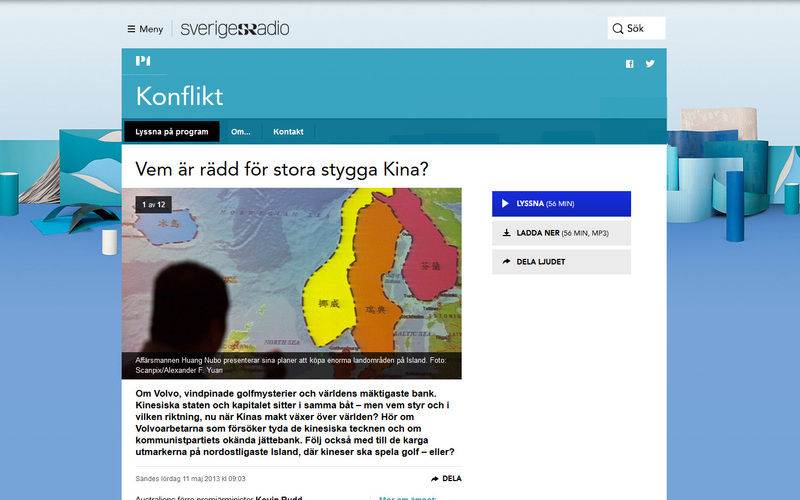 Malin Oud was interviewed in Swedish media in connection with Swedish Prime Minister Stefan Löfven’s visit to China in March 2015. 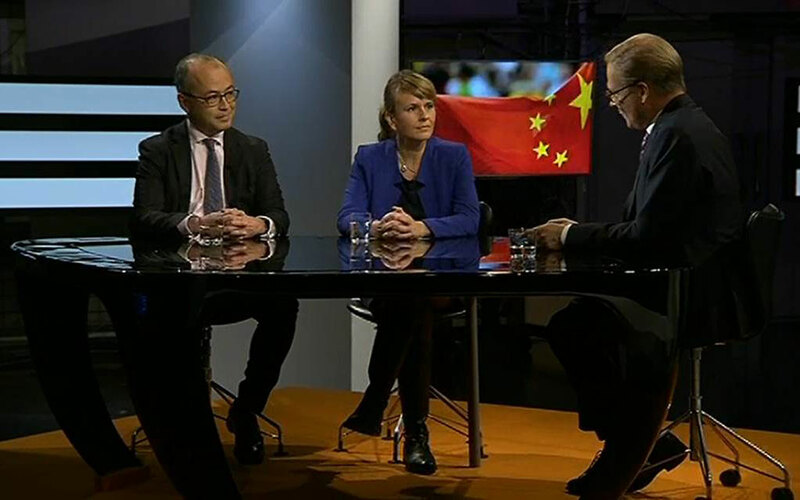 - It is important that Sweden raises human rights issues in its dialogue with China, but it is also very important how we act in practice. 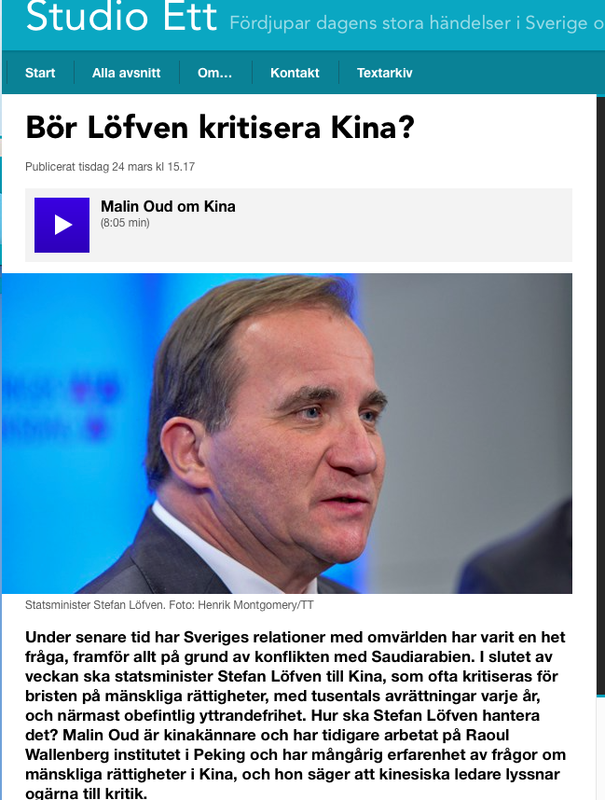 The Swedish government has an obligation to raise human rights issues and to protect human rights, but Swedish businesses also have a responsibility to respect human rights in their operations and to make sure they do not have a negative impact on human rights in China. 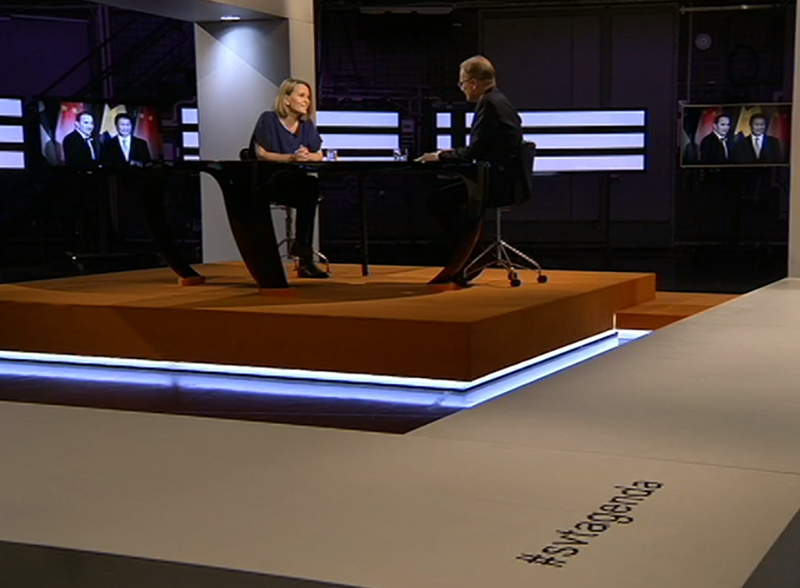 Watch the full interview on Swedish television news programme SVT Agenda by clicking here. - Human rights issues should be integrated into all forms of dialogues and agreements with China, rather than isolated to formal human rights dialogues. Listen to the interview with Swedish Radio Studio Ett here (in Swedish).